Transmitters are used to convert various process signals representing temperature, flow, speed, position, level, pressure, strain, pH etc. for the purpose of transmitting the signal over some distance with little or no loss of signal. There are many types with various different outputs, but functionally they are identical in that they are designed to convert a signal and transmit it in a linear fashion elsewhere. Temperature Controls offer a vast range of different transmitters for all industrial applications. We represent leaders and specialists in industrial temperature measurement and with over 150 years of combined experience, we are sure to have a solution for everyone. INOR was founded in 1939 in Sweden and is one of the world’s leading manufacturers of signal conditioners with a focus on temperature transmitters. In 1974, INOR introduced the world’s first head-mounted temperature transmitter which inspired a new era in industrial temperature measurement. Drago, based in Germany has been manufacturing and supplying high quality signal converters since 2002. Drago specialize in particularly durable and reliable components for automation technology, both for the standard sector and for unique applications. Their range of DIN rail devices is vast, and includes a 6mm narrow modular case series for preserving space in the cabinet. 4-20mA transmitters first appeared in 1950’s as a replacement of pneumatic control systems which were typically found throughout a plant at the time. 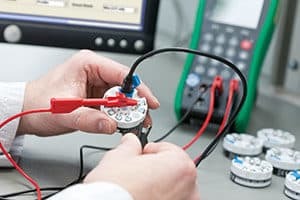 The greatest advantage of using a current loop for signal transmission is the loops low sensitivity to electrical noise as it is a generally low impedance system, which is important for long distance transmission in harsh industrial environments. Because the accuracy of the signal is not affected by the voltage drop in interconnecting wiring, the current loop is virtually ‘lossless’. In this manner and because of Kirchoffs Current Law, the plant can be assured that if the receiver indicates 12mA, you can be certain that 12mA is passing through the transmitter. 0-10V transmitters (or in some cases 0-5V) use voltage to represent a variable signal, rather than current as with the 4-20mA transmitters. It is a simple method of signal transmission commonly used in HVAC applications, but is has some inherent disadvantages. The most important disadvantage is that it is susceptible to electrical interference. Devices such as motors, relays and noisy power supplies can induce voltages onto signal lines that can degrade the 0-10V sensor signal. The 0-10V signal is also susceptible to voltage drops caused by wire resistance, especially over long cable runs resulting in inaccurate signals. Sensor faults cannot be detected as well, meaning a value of 0V can indicate either a zero value or there is no signal. 2-10V or 1-5V transmitters avoid this issue, but are not as commonly found.